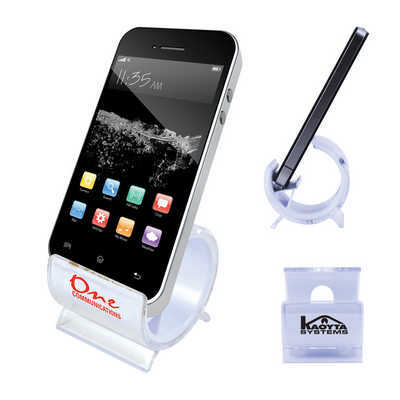 C Shape base mobile phone holder. Keeps your mobile, tablet in an upright easily viewable position. Colours - Clear/White Size - 51 x 58 x 55mm (LxHxD) Decoration Area(s) - Pad Print (Max 1 colour print) : Front - 40 x 13mm (LxH). Price includes : 1 Col 1 Pos Print. Setup is included.